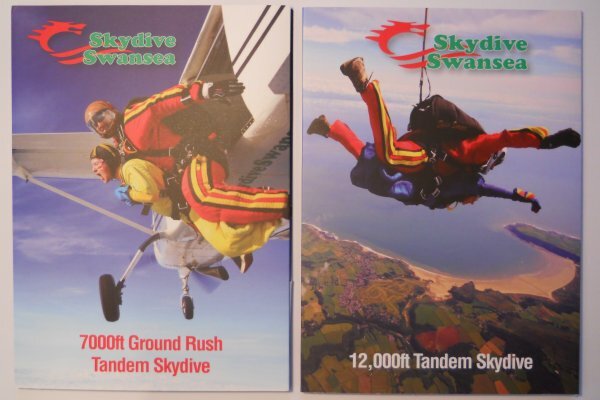 If you would like to give a truly original and unforgettable gift then a tandem skydive is the ideal solution. 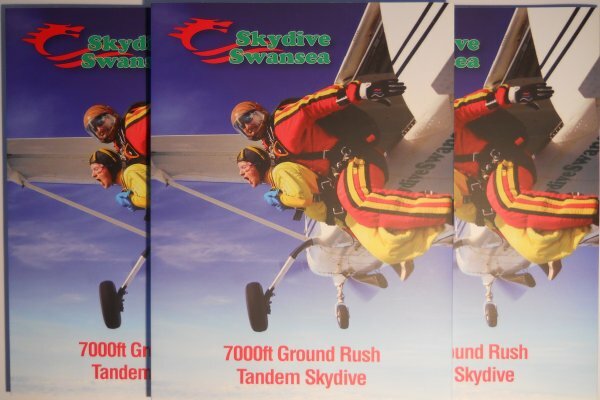 Gift Vouchers are available for our Tandem Skydive from 12,000 feet and our Ground Rush Tandem from 7,000 feet. While a large number of gift vouchers are purchased for birthday and Christmas presents, we are asked to provide gift vouchers for all manner of occasions from wedding gifts, stag or hen parties, to graduation, anniversary presents or proposing to your loved one! We need some additional details for the gift booking and there are one or two areas you may wish to give some thought to. 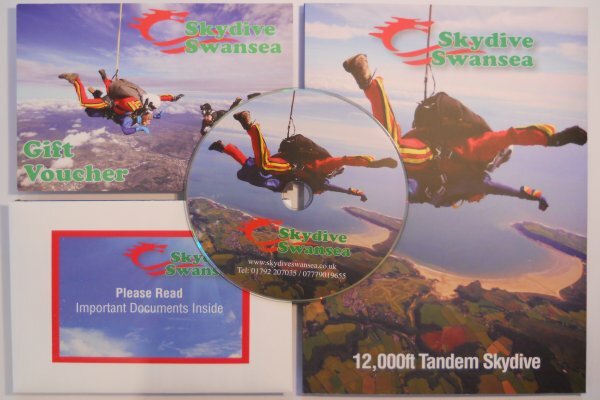 We will ask you for your name and address, the name of the person you will be making the gift to and their personal details so that we can ensure that they are suitable to make a parachute jump in terms of their of age and weight. If you do not know the details we need then you will have to come up with an ingenious plan to find out the required information without spoiling the surprise! Feel free to contact us if you have any queries otherwise you can arrange your voucher right now using our dedicated Gift Voucher form where we will collect the essential information needed for your gift voucher. 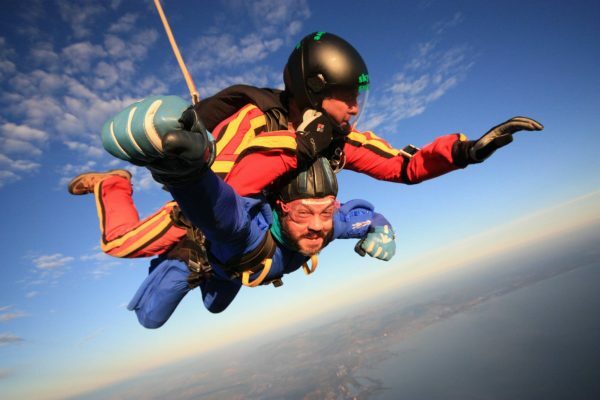 Experience the thrill of freefall jumping from up to 12000 feet followed by a 5 minute high performance canopy ride whilst attached to a fully qualified instructor! You’ll be taken through the training by one of our instructors covering equipment, the skydive & landing techniques. We provide you with jumpsuits, gloves, goggles & headgear before fitting you into the harness. The aircraft ride takes about 15 minutes before we reach 12000 feet & then we are ready to go! Adrenaline packed freefall for 45 seconds at 120mph & then the instructor deploys the parachute by 5000 feet. The parachute has dual controls so you can aid the instructor by spiralling the parachute in the sky. Your instructor will take control of the parachute for the landing. Gift Vouchers are valid for a year or you can book a date by adding your choice of dates on the booking form. 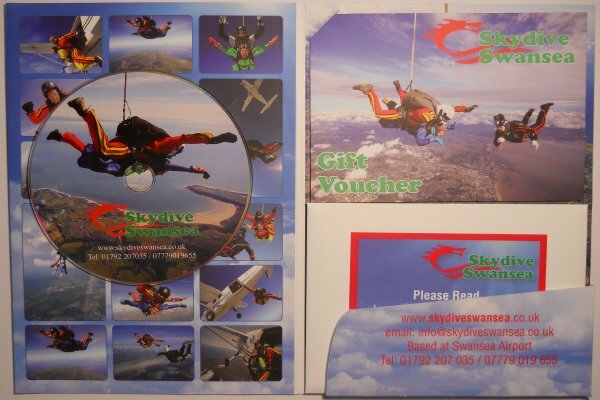 12000 feet Tandem Skydive costs £242.95 including a gift voucher presentation pack which is posted to you. We can also email a gift voucher if you prefer. Only £52.95 deposit required with the balance being paid on the day of the jump. Please note we cannot accept bookings over the phone. By filling in the enquiry form below you will be emailed the booking form & details of how to pay the deposit. Have a look at our FAQ’s for further information. 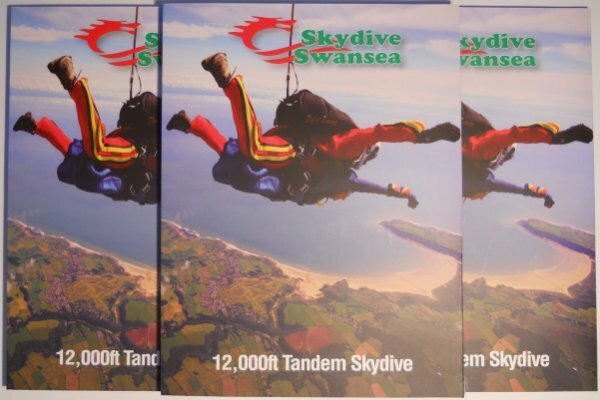 Experience a different type of tandem where you exit from a lower altitude of 7000 feet followed by a 5 minute high performance canopy ride whilst attached to a fully qualified instructor! 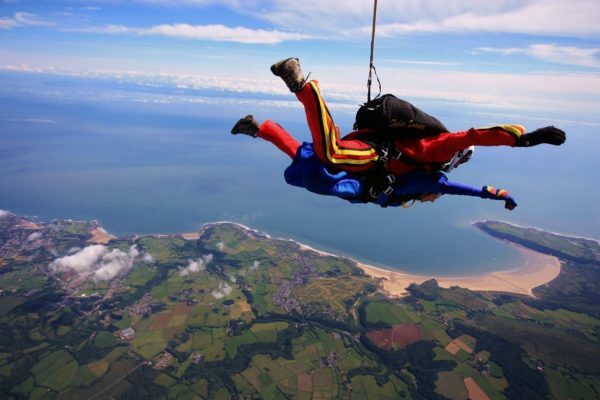 You’ll be taken through the training by one of our instructors covering equipment, the skydive & landing techniques. We provide you with jumpsuits, gloves, goggles & headgear before fitting you into the harness. The aircraft ride takes about 10 minutes before we reach 7000 feet & then we are ready to go! You will still experience that huge rush of adrenaline as you see the door open at 7,000 feet & you move towards the edge of the aircraft momentarily suspended outside before you exit. Your instructor will deploy the parachute within seconds and by about 5000 feet you’ll be under a Ram Air Tandem Parachute. The parachute has dual controls & you can aid the instructor in steering the parachute around the skies. Your instructor will take control of the parachute for the landing. 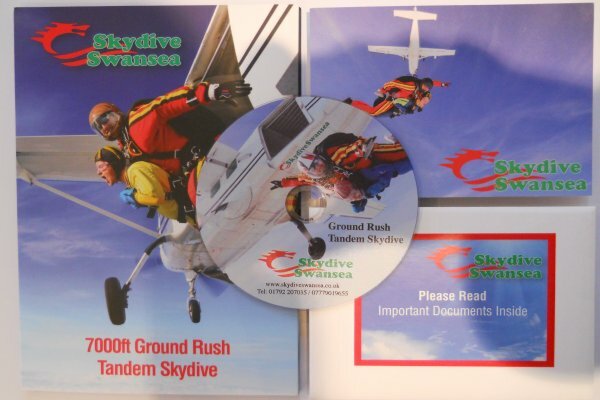 Ground Rush Tandem skydive from 7000 feet is £172.95 including a gift voucher presentation pack which is posted to you or we can email a gift voucher if you prefer. EVERYONE has to fill out ONE of these medical forms. You may require a doctor to sign & stamp your form. Anyone aged 16 or 17 will require the signature of a parent or legal guardian on the BPA Membership Agreement (also known as the under 18 parental consent form). See below for our enquiry form. Have a question to ask? Why not see if it has already been covered in our list of frequently asked questions. To request the booking form & information pack add the details required below. You will be emailed straight away so please check your junk/spam folder in case it’s been sent there. The email explains how to book a gift voucher. Note: we will only contact you and not the person who will be jumping. Now the detail of the person who will be jumping. When were you looking to book the jump? The gift voucher will be valid for 1 year from the date of purchase or you can book a date. Please remember we cannot hold spaces until we have received the booking form and deposit. Once we have received these if there was a problem with the dates you have indicated on the booking form we will contact you.